" machine is quiet, reliable and has a good medical equipment name on it. I excpect it will work for a long time "
" This is at least the third cpap machine I have ordered and am very pleased with the fast delivery and the machine. Small but effective. " 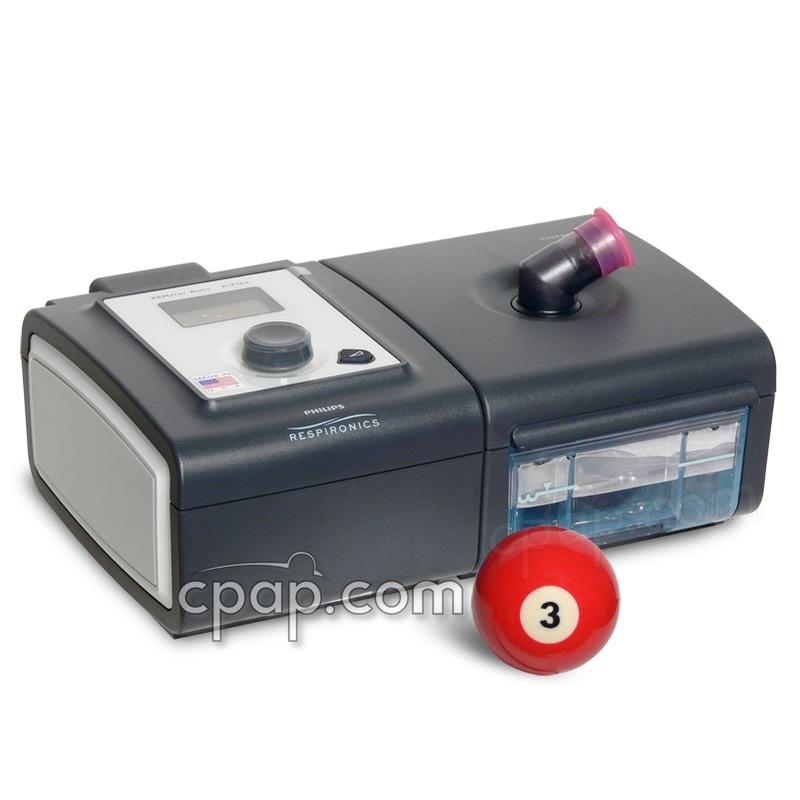 Respironics introduces "System One" through PR Series of CPAP machines. 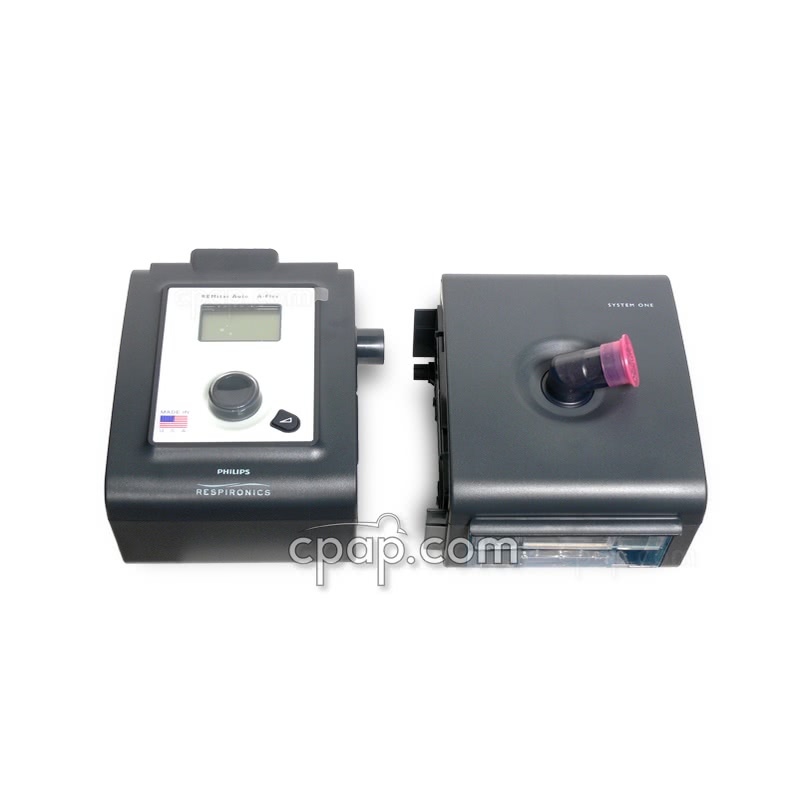 The PR 150 CPAP machine is the entry level system and uses the new System One technologies like Humidity Control with Dry Box and Resistance Control. 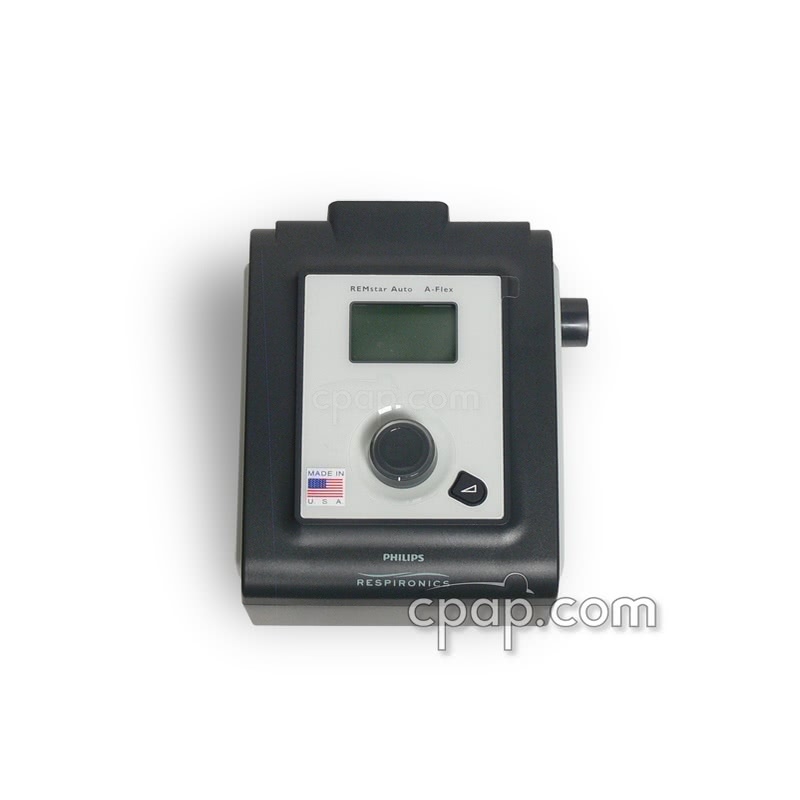 The PR 150 CPAP machine is the entry level solution for treating sleep apnea. The System One technologies like Humidity Control with Dry Box and Resistance Control are helping users achieve effective therapy. The PR 150 comes standard with carrying case, bag, memory card, manuals and now packaged with the Respironics Performance Tubing. 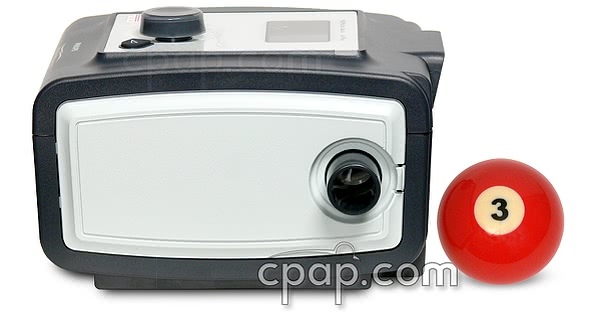 The PR CPAP humidifier and water chamber design are breakthroughs for managing rain-out and water damage. System One Humidity Control technology analyzes ambient temperature and patient airflow to reach relative humidity at the mask. Choose from 5 levels of relative humidity. System One is the first humidifier in the industry which accounts for room humidity. Sensors inside and outside the CPAP machine closely monitor changes in humidity and prevents condensation from forming inside the tube. System One and Dry Box Technology make it possible for the PR CPAP machines to be truly spill-free. This humidifier, even with a chamber filled to the "Full" indicator line, can be tilted, shaken, and even turned upside down without water leaking back into the device. Respironics wanted a machine to achieve optimal pressure no matter which mask is used. Resistance Control is the solution, a numbering system on all of Respironics CPAP masks based on variable resistance characteristics. Each number instructs the device to compensate for different mask types. The result? A consistent and reliable pressure enhanced with all the benefits of Flex Technology no matter which mask is used. On-board memory has been added to the CPAP as well as storing information on a generic SD Memory card and reads through any SD card reader. This machine only tracks and shows compliance data through the on machine display or through the Encore Software. Altitude Compensation Manual - Maximum height 7500 feet. The manual says this machine includes an Auto On/Off feature but our in house testing results show that it does not. We are offering this machine for sale WITHOUT this feature as a result and have made Respironics aware of the issue. 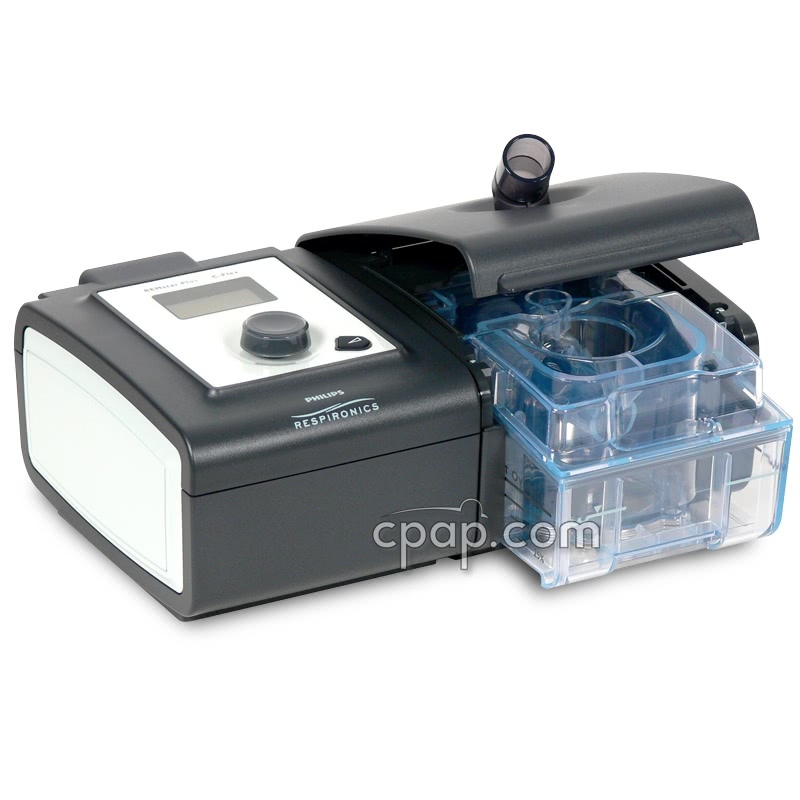 The user manual included with this machine can be viewed and downloaded here: REMstar CPAP Machine. Philips Respironics includes the power supply and cord with the purchase of this machine. Find a black flap secured with a hook and loop fastener on the interior wall of the bag. By pulling on the fabric tab, the fastener will release. The power supply and cord are placed within the pocket. Weighing in at only 1.16 pounds the C-100 Battery is a terrific option for travel. 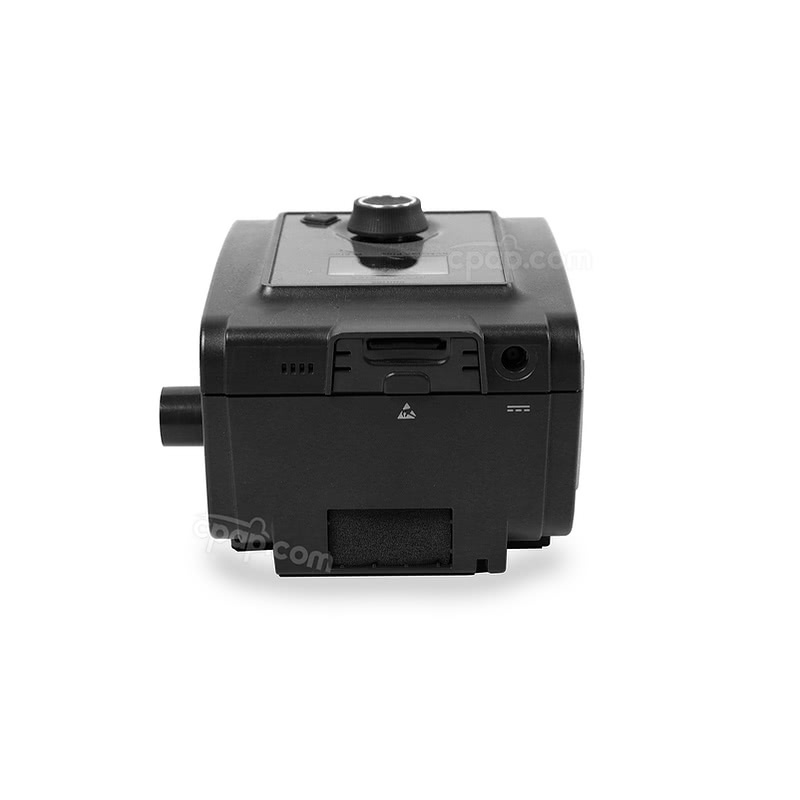 Plus, the C-100 comes with a DC cable and connector peg suitable for use with the PR System One REMstar DS150 CPAP Machine so no need to purchase a separate DC cable. This lithium ion battery meets UN Manual Test and Criteria requirements for travel. 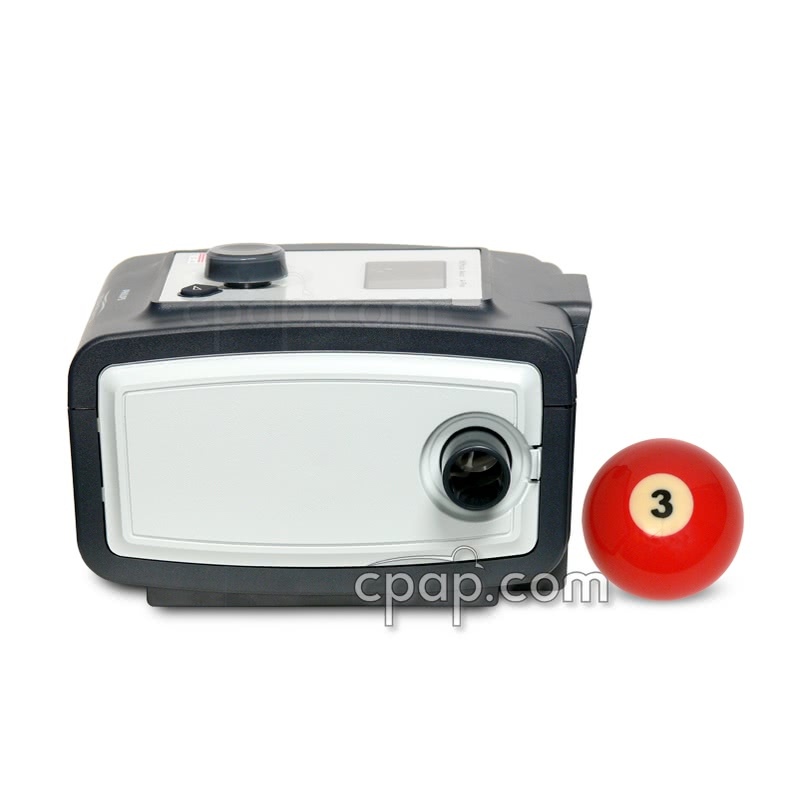 The C-100 Pack includes many accessories and a handy carry case designed to allow the the cords to be attached with the battery inside the case.